The post IRS Has Options to Help Small Business Owners appeared first on Alexandria Small Business Development Center. This blog post was originally published through the IRS Tax Tips service. More information on all of these topics can be found at the Small Business and Self-Employed Tax Center. Small business owners often have a running list of things to do. These include deadlines, sales calls, employee issues, banking, advertising – and taxes. The IRS can help with the last one. Looking at the Big Picture: The Small Business and Self-Employed Tax Center brings information on IRS.gov to one common place. Organizing Tasks: The IRS Tax Calendar for Businesses and Self-Employed helps owners stay organized. It includes tax due dates and actions for each month. Users can subscribe to calendar reminders or import the calendar to their desktop or calendar on their mobile device. Searching for Topics: The A-to-Z Index for Business helps people easily find small business topics on IRS.gov. Getting Information by Email: Small business owners can sign up for e-News for Small Businesses. The free, electronic service gives subscribers information on deadlines, emerging issues, tips, news and more. Watching Videos: The IRS Video Portal offers learning events and informational videos on many business topics. Finding Forms: The Small Business Forms and Publications page helps business owners find the documents they need for the type of business they own. It lists tax forms, instructions, desk guides and more. Meeting in Person or Online: Small business workshops, seminars and meetings are held throughout the country. They’re sponsored by IRS partners that specialize in federal tax topics. Topics vary from overviews to more specific topics such as retirement plans and recordkeeping. The post 8 Small Business Tax Preparation Mistakes to Avoid appeared first on Alexandria Small Business Development Center. This post was written by Caron Beesley and first appeared as an SBA.gov blog on April 2, 2015. Tax time brings with it a sense of urgency and pressure, and mistakes inevitably follow. Tax deductions go unclaimed, paper trails go awry and costly surprises can result. Here are eight of the most common tax preparation mistakes that small businesses make, plus some tips for mitigating them. New business owners can write off the expense they incurred before technically opening their doors for business. Don’t overlook this important deduction. Read more in How to Write Off the Expense of Starting your Business. The mileage deduction for tax year 2014 is 56 cents per mile. Another big mistake that business owners make is to limit their deductions to mileage. If you can prove that they are business expenses, you can also deduct other costs including gas and oil, tires, insurance, lease payments, tolls and parking fees. Read more. Petty cash purchases, magazine subscriptions, educational classes and more. These “small” expenses can add up quickly. Make sure you track all your expenses and check with your tax advisor about what you can and can’t deduct. Your accountant can ensure you don’t overdo or exaggerate your deductions – something that can raise the possibility of an IRS audit. For example, many small business owners mistakenly assume that they can deduct 100% of meal costs while traveling or client gifts. They are actually only partly deductible. Likewise, if your expenses are a lot higher this year than last or not considered typical for your industry or business type, the IRS may get inquisitive. The IRS is only one piece of the tax pie; don’t forget about your other tax obligations – property, payroll, local taxes, excise tax, self-employment taxes, etc. These can all come back to bite you if you aren’t compliant in a timely manner. Intermingling your personal and business bank accounts is a big cause of confusion around tax time, making it hard to track income and expenses. Furthermore, if you operate a home business, make sure you keep that space distinct and separate from the rest of the home so that you can correctly claim the home office deduction. Payroll tax compliance is something that many small business owners struggle with. The financial consequences of getting it wrong aren’t pleasant either. Statistics show that approximately 40 percent of small businesses incur an average of $845 per year in IRS penalties. To make sure that your payroll taxes are deposited correctly, outsource your payroll function to a payroll company. The benefits often far outweigh the fees. Read more about the five payroll tax mistakes to avoid from Barbara Weltman. This is a common problem for small businesses and often leads to missed opportunities for reducing your taxable income for the year. Make sure your expenses are reconciled, tracked and supported with receipts (the IRS requires it). Spend time each week to review your accounts – receivable, payable, credit card transactions, cash flow, etc. if your business is growing, consider accounting software (which synchronizes all your financial transactions and activities in one centralized dashboard) or retain the services of an accountant. Your headshot says a lot about you. Do you look like a confident person? Do you take care in your appearance? Do you seem like a professional? These are all questions that hiring departments may think of or clients may wonder when choosing you. 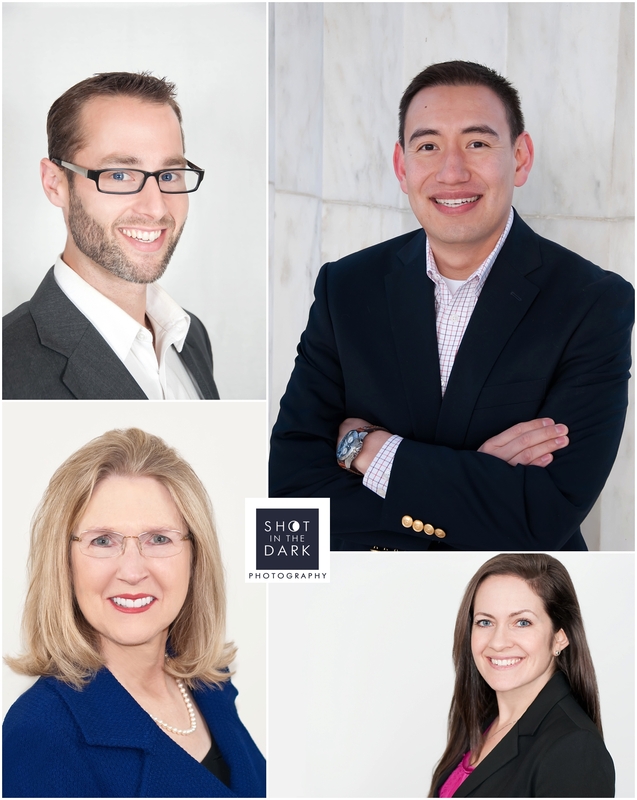 Whether they are looking at your LinkedIn profile or choosing your services based on the quality of your business card it may have more to do with your headshot than you might think. Stand Tall No one sees confidence in a person that slouches. Stand up tall when having your headshot taken so that your posture is expert. If this is difficult for you, try squaring your hips and lifting your chest. Then imagine a string pulling you up like a balloon lifting you into the air. Nothing says confidence like good posture. Smile Like You Mean It Some of the best headshots come from your natural radiant smile. Like the kind of smile where you just laughed. So fake it. Laugh and you will find your natural smile comes shines through. Color Palettes for Your Skin, Hair and Eyes I love power colors for those in leadership roles, or those seeking leadership roles. Reds can come off as very attention grabbing and classic. Oranges however, depending on the skin tone could be very off putting. When choosing your palette look at a variety of options and hold the colors up to your face. To they make you look washed out or on the contrary do they draw attention to your eyes and make them pop? You want to find out what your color palate is first and then create your look from there. Do you look best in vibrant colors or earth tones. If you are uncertain which color palette best suits you, bring a few options to your session and go over them with your photographer. Simple is Best Again, play up the textures and add in a necklace, some earrings or a nice watch but make sure you are remembering “simple”. You can really over do it with loud patterns like stripes or circular patterns on your shirt or blazer. For those of you that wear makeup, this is a time for the lipstick and mascara. Clean makeup is best as well. Leave the glitter and shimmer at home and opt for matte colors that accentuate your natural look. High Resolution vs. Web Resolution If you want to print your headshot for promotional purposes make sure you get a release to do so as well as high resolution images. 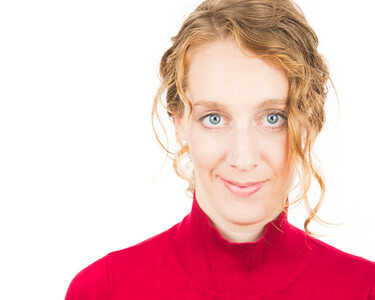 Likewise, if you would like to use your headshot online you will want a web resolution image. Make sure you are clear with your photographer to ensure that you get the images that you want at their best quality for the purposes that you intend them. Your Photographer Can Make You Lose Weight Instantly Before you get too excited, understand that your photographer is not going to accompany you the the gym or prescribe you a cleanse for days leading up to your session. But, your photographer does know some tricks of the trade that can make you appear more thinned out. For example, say that you have been blessed with not one but two chins, we can remove that for you. And I am not talking post processing so much as when we take your headshot we can manipulate your profile to remove your double chin and overall bring the viewer into the image. A good photographer can photograph you in a way that makes the observer look for a few seconds longer at your headshot. And sometime those extra seconds, that make you stand at the forefront of all the other applicants, make all the difference. Shot In The Dark’s owner and principal photographer is Meghan Stewart. Her photos have been published in Food and Wine, Northern Virginia Magazine, and Travel + Leisure. Meghan’s love for photography developed from shooting in the metro Detroit area where she grew up, and through documenting her travels, including a year she spent living in a Ghanaian village. A mother and former cheesemonger, Meghan founded Shot In The Dark in 2012. We love to travel so if you’re not in DC, VA or MD just ask and we would love to meet you wherever you are. Owning a small business is like starting a family but often I feel like a single parent with quintuplets. When I first began my business in 2012 I filed out all of the correct paperwork. As it would seem, I did so in the most backwards order I could imagine. This was not by my poor planning as much as it was my overall lack of knowledge about the entire process, which between you and I is not incredibly obvious even after having gone through it. I do have to give credit where it is due and I owe a lot to the Small Business Development Center as I may not be where I am today without their guidance. As a small business owner I have had to wear many hats and to keep my costs low I have had to wear all of those hats on my own. The Photographer As a lead photographer I have enjoyed the ability to be as structured or organic as I like and have been able to be creative with on the spot changes due to weather, venue and wardrobe mishaps. I feel that this is my strongest role and one that I am constantly improving and honing. A big thanks to friend and fellow photographer Sam Dingley for my stunning headshots. That comes off like I am bragging about me, but I promise I am bragging about his photography skills. The Website Designer In all fairness the bare bones of my website was originally created by a friend Kendall Totten Design who is an incredible developer but is now ran almost entirely by me. I try to check in with her once or twice a year to do an overall update to my site when I need assistance with code or say, I accidently delete a section of content. Oops. But other then that, all content, now comes from me in all of my glorious grammatical errors. The Ad Executive I do my best to funnel all social media traffic back to my website but at this time do not use any paid advertisements to gain clients. My social media presence is crucial to my image so I do my best to keep my brand consistent. My logo was again created by a dear friend Mindy McPeak Illustration and my business cards and header by another Graphic Designer friend Danielle Webb who I think I traded the designs of for wine and cheese. Overall my business is driven by word of mouth. My clients return year after year and tell their friends about their experience with me and in turn become new clients. The Attorney I cannot afford one at this time and so I am my own legal counsel. I have done my best to be upstanding and have tried to protect myself by using contracts and holding a Limited Liability Corporation (LLC). I even keep my business bank account separate from my personal account. I figure there is no excuse for being careless so I might as well be prepared. The Salesman I like to pride myself on my ability to sell. I used to sell for J.Crew and could sell corduroys and chino’s like it was my job. And at Cheesetique I used to sell cheese and wine like it was my job, because at one time it was my job. But now, I am in the business of selling myself. Gasp. And this is not easy for me. I believe I am an incredible artist and yet it takes everything in me, to sell me. It is not like I bathe in confidence but I do have to overcome myself sometimes and sell my experience, skill and artistry. The Accountant I file my own taxes. I create my own budget. I try to keep my advertising costs and business expenses low. I pay sales tax in three states and currently for an LLC in one. I file everything on my own that I need to keep my business running and upstanding with the law. The Balance I am a full time wife and mother and so it is essential that I maintain a balance with my work. I tend to work nights (editing) and weekends (photographing) when my partner can be with our little one. The lifestyle of a Wedding and Portrait Photographer lends itself well to my available schedule. Starting Your Own Business? Ask for Help The Small Business Development Center of Alexandria was an excellent resource for me when I began my business and they helped to point me in the right direction and showed me where to file my LLC, Business License, Trade Name and Sales Tax. I also had to set up an Employer Identification Number (EIN) with the IRS and I would not have known this had it not been for their assistance. I also took advantage of their social media counseling which has proven to be priceless. The post Your Small Business’ New Best Friend – Your Accountant appeared first on Alexandria Small Business Development Center. For those just starting a business, your accountant, along with your attorney, can advise you on the optimal business structure (Corporation, S-Corp, LLC, etc.) for your particular set of circumstances. This is the time to interview several accountants to pick one whose style and personality work with yours. It is important to develop a relationship with your accountant so that they are aware of your goals and issues, as well as the operations of your business. When choosing an accountant make sure that they are ready to think strategically about your business and advise you, rather than just “crunching numbers”. It is a good idea to make sure that your accountant is a Certified Public Accountant (CPA), which means that they have passed certification exams and required continuing education to keep up-to –date with the pertinent laws and regulations. Communication style and personality are also important factors to consider, because you want your accountant to be an easy-to-work-with proactive partner in your business. A good accountant will help you set up your books and accounting systems so that you will have accurate records from the beginning of your business. No matter how small your business, your business records and bank accounts should be separate from your personal accounts. Whether your accountant offers bookkeeping services, recommends a qualified bookkeeper, or trains you to maintain your own books, you should at least have a periodic check to make sure that all is in order. This should not wait until tax time, because then it is often too late to fix errors that should have been caught and corrected during the year. Your accountant can help you to run and understand important decision-making reports such as CashFlow statements and Profit and Loss reports. These are crucial for your own purposes in understanding your business, meeting your benchmarks and controlling costs while you are getting there. Failure to analyze your financial statements in a way that you completely understand means that won’t know as much as you should about how your business is doing. Accurate reports are also needed when applying for a business loan. Once you grow from a one-person business, it is crucial to have your accountant who understands the difference between an employee and an independent contractor, as defined and strictly enforced by the IRS. The accountant will ensure that all of the required forms are filed and withholdings made in accordance with the federal and state laws, and that W2 and 1099 forms are sent to the proper people at the proper times. This is one of the reasons why it is so important to deal with a local accountant. Employees who work in your Virginia business but who live in Maryland or DC have different withholding, and there may be different laws that apply. Using your brother-in-law accountant from Massachusetts may save you some money in the beginning, but can cost you significantly if you end up with back taxes and penalties because your accountant was unfamiliar with local laws. You should be talking with your accountant at tax time, even if you will be filing your taxes yourself. Do not wait until tax time to discuss what kinds of business expenses are deductible. Many of the laws and regulations about business deductions differ by state and change frequently. A good accountant will keep up-to-date on the changes and will know which ones apply to your business if you have developed the relationship and your accountant understands your business. There may be things that you can do to minimize your taxes before the end of the calendar year and to plan for next year’s growth – now is the time to talk with your accountant! You should meet with your accountant at any transition point in your business. Is it time to grow, in terms of space, products/services or employees? Do you see your company getting into government contracting, for which accurate accounting is absolutely crucial and which may require specialized accounting systems? Are you thinking of retiring or selling your business? An accountant who understands your business can help you. The accuracy of your books will help in the valuation of your business. Choose your accountant well, and trust them to be an important partner in developing your small business. You want to run your daily business operations and make the “big plans”. You do not have time to try to learn all of the things that your accountant already knows! Get the most from this important business relationship.